Lexon has designed one of the most efficient alarm clocks ever. 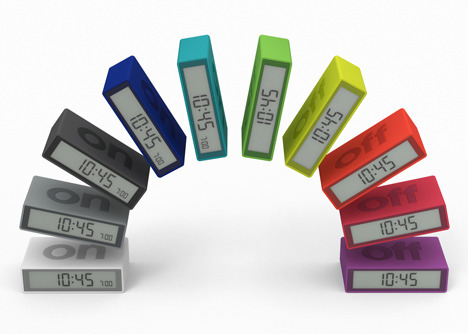 The FLIP alarm clocks are minimalistic alarm clocks that come in a wide variety of colors. But what makes these alarm clocks so special? As the name reveils, you just flip over the clock when you want to set it off. Easy! And to make it even easier to know if it’s on or off, it’s written in big bold letter on top and under the clock.